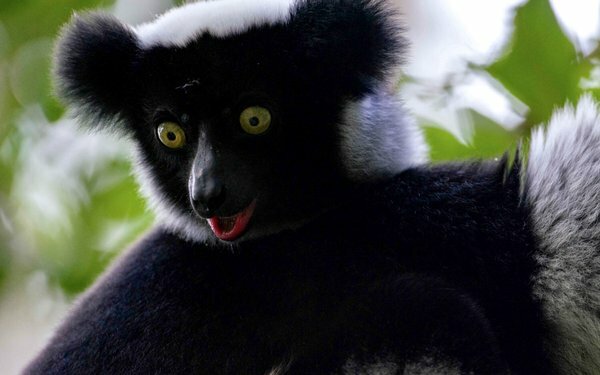 A lemur makes “an incredible cry” in Madagascar. Telling the story of “big industry” manufacturing is complicated. Marketing a complex B2B energy narrative is not an easy feat. To showcase how it provides power access to communities in faraway places, GE sought to continue its legacy of new-format storytelling. GE has used print and audio to tell stories for over a century. Photos tell a powerful story. The spoken word tells another. Though both individually effective, Giant Spoon sought the next evolution. The answer was simple: a fully immersive “analog meets audio” experience that would elevate the traditional way of reading a magazine. To do this, it aimed to align print pages to sound waves. It needed a partner with a scaled, dedicated audience unlike any other, one with an unmatched track record in the audio space. And Giant Spoon found one in The New York Times Magazine. It promoted a sticky experience that reminded readers and listeners of the importance of power. On Sept. 23, New York Times subscribers received its always-anticipated “Voyages” issue and were prompted to an audio stream designed to be listened to while flipping through the print magazine. Giant Spoon took them on 10 sonic journeys––from Mozambique to Hawaii––while GE organically showcased destinations with sounds that are essential in driving its community energy efforts: Chile’s Atacama Desert, the Bujagali Falls on the Nile River, and off the coast of Germany in The North Sea. It took listening experiences to new heights––literally. It was the biggest ever co-branded marketing campaign from The New York Times, with GE as the first advertiser to single-handedly own an entire issue of its magazine. With over 1.21MM page views (from 9/22 to10/22), users spent 130% more time with the digital experience than the average New York Times article. Tell stories to engage emotionally with viewers and listeners, especially when the topic is difficult to convey. Capture the sounds of nature to talk about a brand’s impact on destinations all over the world. This was a finalist in the Audio category in MediaPost’s 2018 Creative Media Awards.